Such is Pevsner’s damning opening line on Luton. And I must admit that when I began as a Visiting Lecturer at the University of Bedfordshire last October it wasn’t in anticipation of a pleasurable aesthetic experience. Yet this is what it turned out to be. 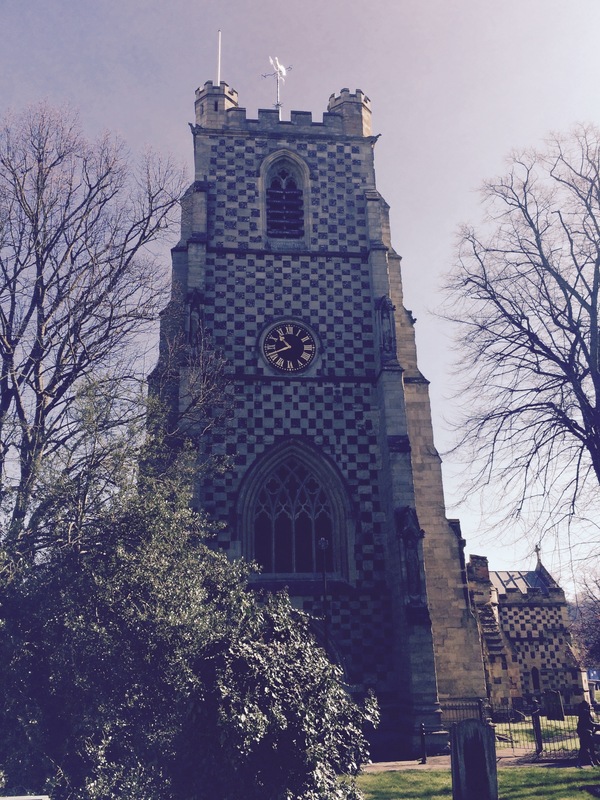 I suspected Pevsner of being unnecessarily pessimistic about Luton the second I walked past St. Mary’s church on my way to the interview for the job. I’m not much of a church hound but I do recognise excellence when I see it. I made a mental note that if I got the job and saw out my year I would try and get into the church sometime and have a good rootle around. Over the course of the academic year I walked past St. Mary’s in sun, rain, snow and hail, usually bleary-eyed from lack of sleep and fretting about what I was going to do with the students that day. Arriving in Luton from the gleaming terminal at St. Pancras was a dispiritingly Pevsnerian experience. The renovation of Luton station (a slunking drabness of concrete, brick and corroded metal whose single decorative feature, a Moderne-ish clock, posseses no hands) seems to be very low on Network Rail’s list of things-to-do. And the route to the University from the station either takes one through bypass hell or, even more horrifically, The Mall – an example of Arndale atrocity that even the most stubborn member of the 20th Century Society would find it difficult to defend. 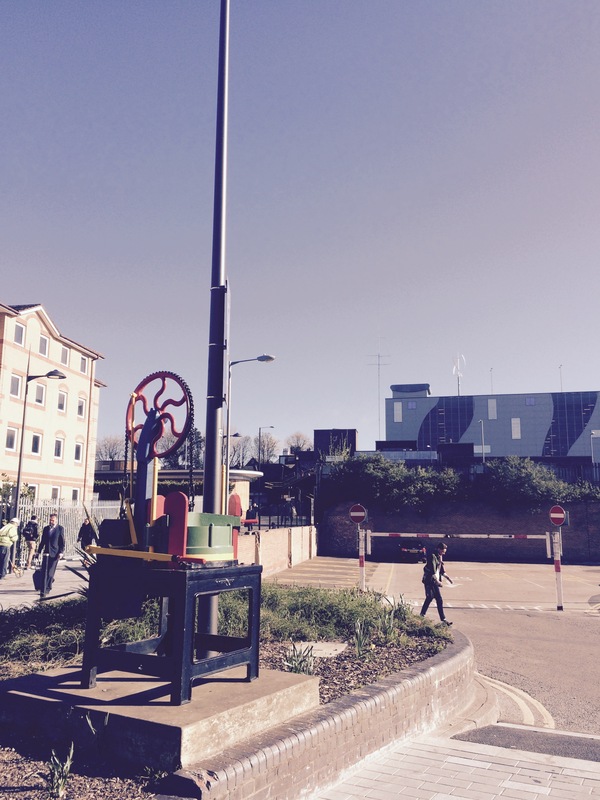 Hat press in foreground, 1930s railway station in the distance overshadowed by a hulking car park. I guess that shows you the priorities of the home of Vauxhall Motors. But then, but then, a descent from the shopping centre to ground level (taking the stairs, the escalator (the Darren Anderton of escalators) invariably being ‘under repair’), a stroll across the road and there lay St. Mary’s lounging defiantly in its own circle of green. So the church was always a welcome sight on the way into work. Even with its bunkerish parish centre attached to the east end it stands out as a piece of civility in a thoroughly feral stretch of the urban landscape. As does the University, but that’s for another post. I’d emailed the church to ask if I could take a look around since it was usually shut on my teaching day. 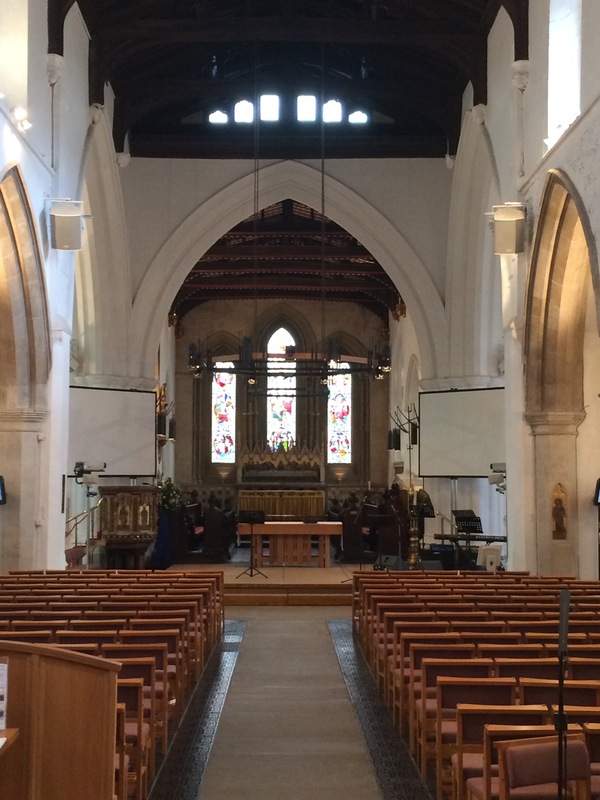 They agreed and on the last day of term I was allowed to wander around the church on my own. It is a gem.It is an outstanding example of the parish church of a wealthy mediaeval town. Its architecture possesses both modest grandeur and quirky byways. Grandeur in the broad wooden roof and gothic arches of the crossing. Quirkiness in its side chapels and piscinas (yeah, I had to look it up too). 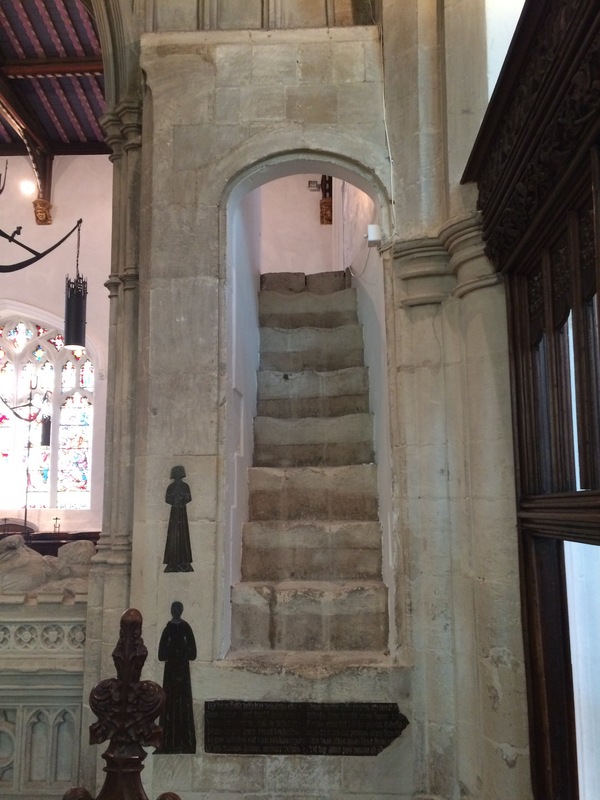 Medieval stairway reminiscent of Henry V’s chapel at the Abbey with restored memorials inlaid in the wall and a glimpse of the roof. The memorials tell a very local story of Luton and its inhabitants that links into a national narrative stretching back to the 14th Century. 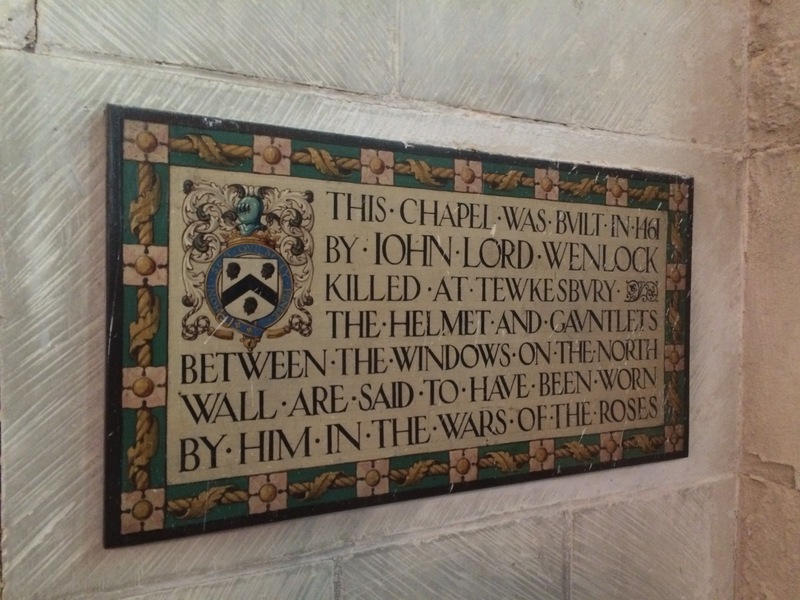 Those who are interested in the Wars of the Roses (never my favourite part of giving a tour of the Tower I have to admit) will be curious about the Wenlock Memorial. The Wenlock Memorial. Sadly, his helmet and gauntlets were not on display. 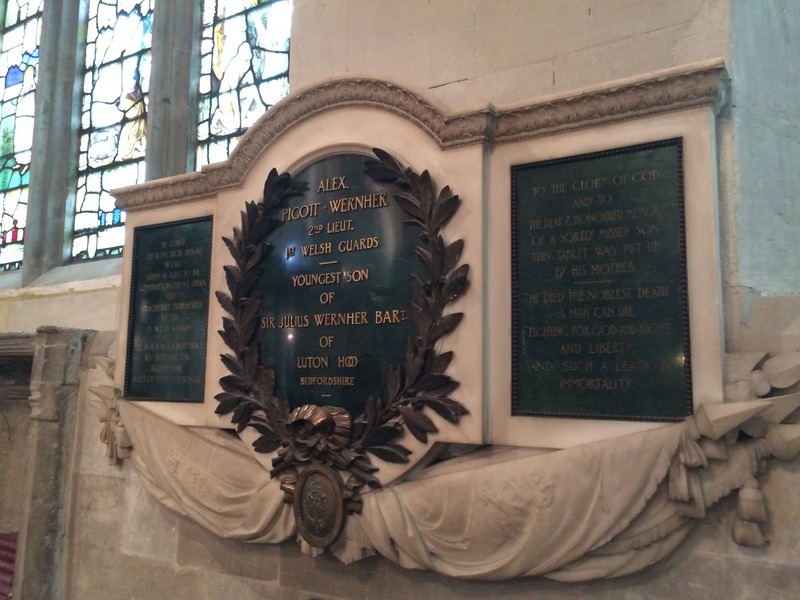 I’d assumed that Wernher, like many of the Randlords, was Jewish, so I found it curious that his son, who died on the Somme in 1916, should have a memorial in an Anglican church. In fact Wernher was brought up a Lutheran in Germany and in 1870 had fought in the German army during the Franco-Prussian War. After the war he went into business and had come to the Rand via spells in Paris and London. While his partner, Alfred Beit (who was Jewish), was a dealmaker and visionary empire builder on the Rhodesian model, Wernher was the steady numbers man who ensured that their company had the liquidity to cover Beit’s grand schemes for controlling the market first in diamonds in Kimberley and then in gold on Witwatersrand. Like many of his fellow Randlords Wernher invested his fabulous wealth in property in England, buying a mansion on Piccadilly and the country estate of Luton Hoo (now a luxury hotel) in Bedfordshire – hence the connection with St. Mary’s. Such a career demonstrates how fluid national identity was in the era of Edwardian high imperialism. The father is a middle-class Prussian soldier when young, yet through the transformative power of capital and class his son dies fighting his father’s nation of birth as an Old Etonian officer in the Welsh Guards. In Luton, the home of the EDL, the story of the Wernhers’ connection to the town is a strong reminder of the flexibility of Englishness and its ability to be an inclusive identity rather than one that rejects newcomers. I spent a year teaching the history of sport at Luton and one of the commonest discussions we would have as a class was about the tension between globalisation and nationalism in sport. I see the same tension cropping up in the debates about the future of the country during the election campaign, especially with the main parties under pressure from the nationalists of Scotland and UKIP. And what I want the mainstream parties to make a stronger case for is a more inclusive sense of nationality that is open to the hyphenated identities of Scottish-British, Polish-English and English-European. And in this I think Ed Miliband has shown more leadership than David Cameron in rejecting outright a referendum on withdrawal from the European Union. Confident of our national identity we have nothing to fear from pooling sovereignty with other nations. I only wish he’d argue more confidently against the exclusionary politics of the SNP and emphasise more the common values that give strength to our nation both in our own eyes and that of the rest of the world. This entry was posted on May 6, 2015 at 10:41 am and is filed under Architecture, Guiding, Politics. You can follow any responses to this entry through the RSS 2.0 feed. You can leave a response, or trackback from your own site.